red green is for your climate control. 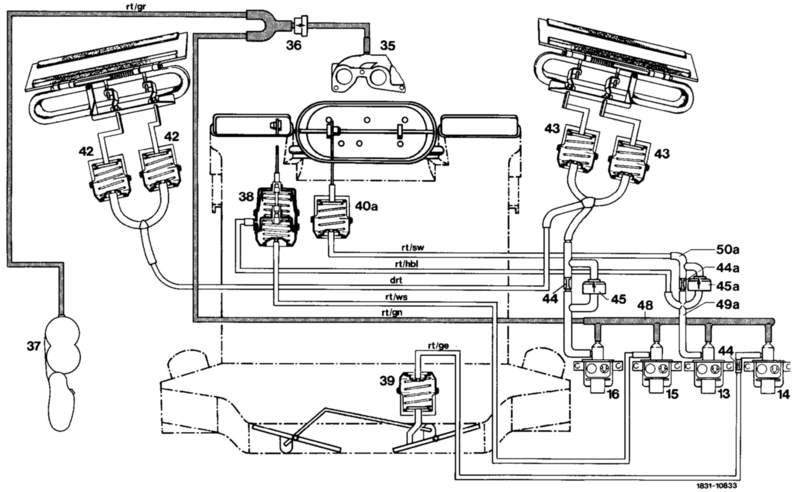 I will attach a vacuum diagram. The shaded line is your red green vacuum supply line. It also goes to the vacuum storage tank. Labels: vacuum line diagram for 81 380sl mercedes.